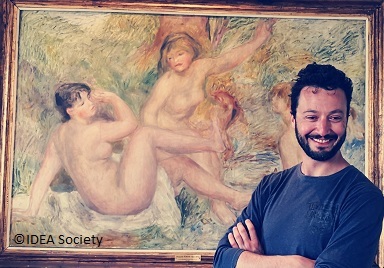 The IDEA Society Chairman Dr. Stefan Stoev paid an Art Tribute to the 100th Anniversary of August Renoir (1841-1919). The Global Goals have been introduced to the world. A 17-point plan to end poverty, halt climate change and fight injustice and inequality. The Global Goals are the biggest attempt in the history of the human race to make the world a better place.